Designed specifically for tank battery vapor recovery compressors. 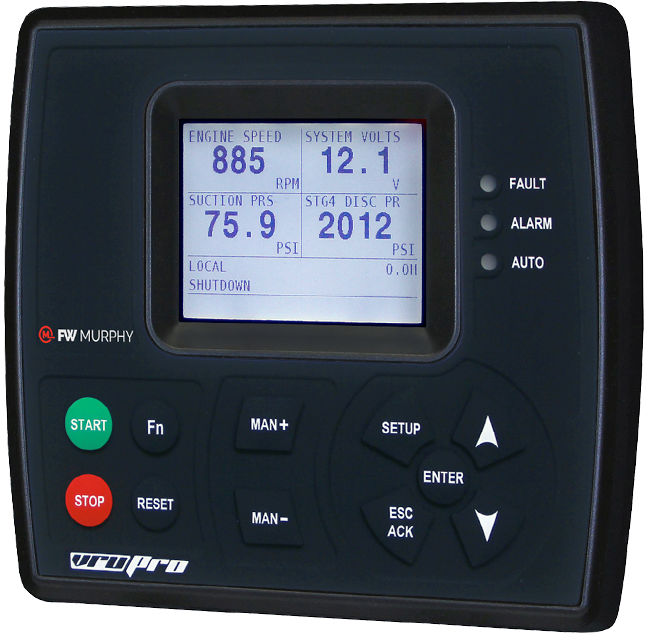 Introducing the new FW Murphy VRU PRO. You know and trust the FW Murphy Production Controls name for your compression needs. Now experience the VRU PRO, dedicated to controlling your system and designed specifically for vapor recovery applications. This Class I, Div. 2 hazardous area rated unit gives you the peace of mind required for your hazardous natural gas applications.